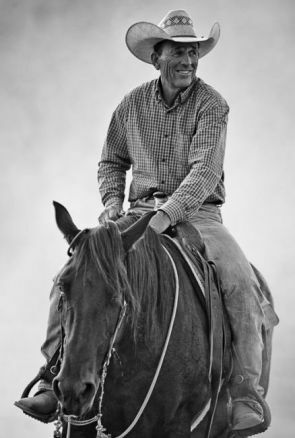 Lanny Leach is a nationally known horseman and clinician starting off his horsemanship career at the age of 2 when he rode along on his father's cattle drives. 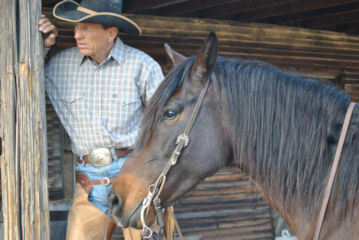 At the age of 12 he started working for his first paying client who recognized his horse training abilities. 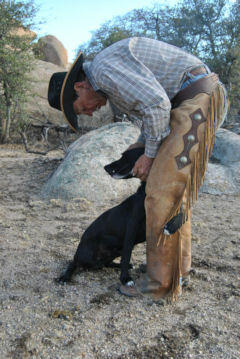 As a young man he worked cattle on his own ranch or did custom cattle work from 1976 to 1992. Lanny worked or managed cattle on large spreads from 2,800 acres to 20,000 which included starting horses and training them for cattle work and hay wagon team work. 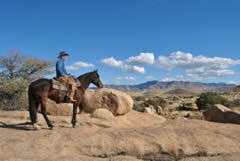 When Lanny and his wife, Kathy, moved to Arizona in 2003, Lanny worked as a wrangler at the prestigious Tanque Verde Guest Ranch. 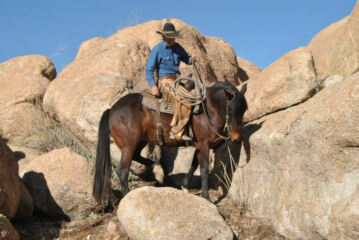 He began his training business full time at the Manor Farms and the Amado Ranch before managing approximately 65 boarded horses at the Tanque Verde Stables. 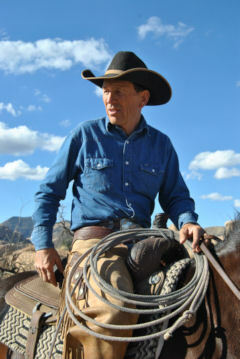 He began using the Tanque Verde Stables as his training facility in 2005 soon after which his son Logan joined him in the business conducting horsemanship clinics, starting colts and training horses for clients in Tucson, Pima County, Phoenix and outer-lying regions. Lanny also conducted seminars for the Pima Medical Institute Veterinary Technician Program teaching safe techniques for handling horses while administering medical care. 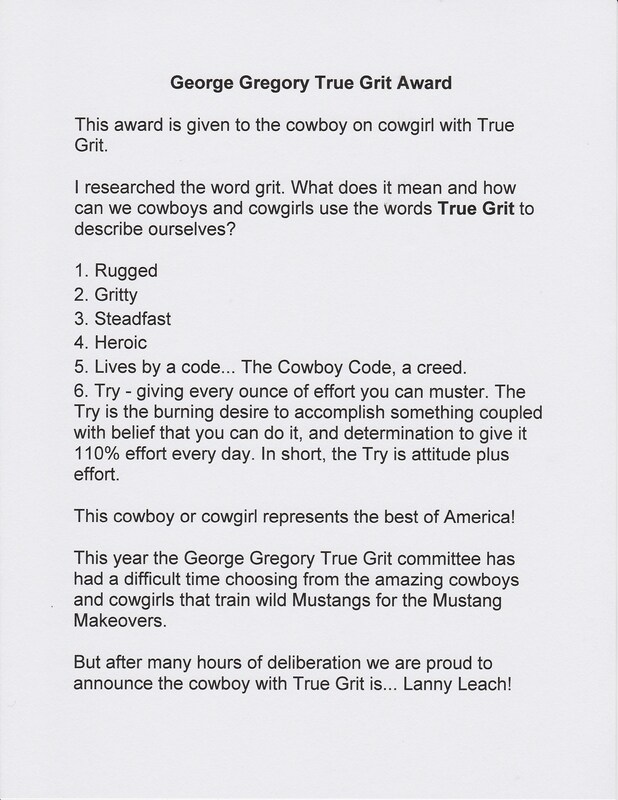 From 2008 to 2011 Lanny competed in Extreme Mustang Makeover events sponsored by the Mustang Heritage Foundation and the Bureau of Land Management qualifying for the finals in these events seven times. In 2011 Lanny relocated the hub of his training business to Texas and operated out of Marvel 4D Ranch in Cresson while Logan launched his own successful horse training business in Watkins, Colorado. Logan went on to continue his own horse and cow dog training business in Nebraska in 2013. That same year Lanny competed in the Arizona Horsemanship Challenge colt starting competition in Cottonwood, Arizona, with five other Arizona horse trainers. Lanny was honored to receive the title of Champion receiving the first place buckle. He has been invited back each year since as a judge and clinician. Based on his Arizona Horsemanship Challenge achievements, Lanny was invited to compete in the Colt Starting Challenge USA at the 2015 National Finals Rodeo in Las Vegas where he finished second. 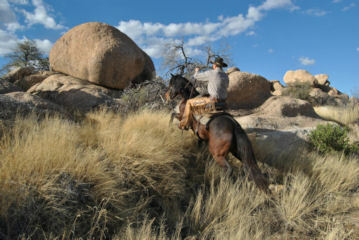 To prepare for the epic journey chronicled in the documentary "Unbranded," Lanny was honored to be asked by the film's creator, producer, and participant, Ben Masters, to select and train the horses for the 3,000 mile ride from the Mexican border to the Canadian border. A chapter in the book Unbranded was dedicated to Lanny's part in training the mustangs and the team of young men who went on this journey. 2015 brought a new opportunity when Lanny was contracted to train at the Montgomery Creek Ranch in Elk Creek, California, a private preserve of 240 wild mustangs. The owner, Ellie Phipps Price, had learned from Ben Masters about Lanny's success with the Unbranded documentary and hired Lanny for 16 months to start and train approximately 40 mustangs from yearlings to 5 year olds. In May of 2016 Lanny and Kathy returned to Ainsworth, Nebraska where Lanny once again partnered with Logan training horses for ranch, recreational and all performance horse disciplines. In October 2018 Lanny and Kathy returned to Tucson to reestablish Lanny's training program at Medella Vina Ranch where he continues to conduct clinics and offer private lessons and horse training there and throughout the United States.